SSC Stenographer result released for the computer-based examination 2018 conducted in February this year. 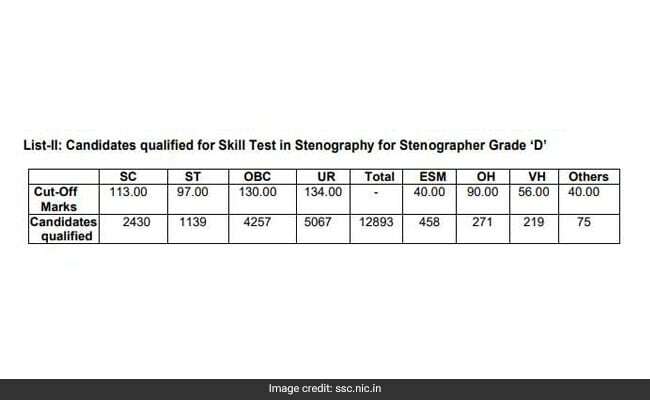 Staff Selection Commission (SSC) has released the result for the computer-based Stenographer Grade 'C' & 'D'' Examination 2018. The Stenographer result can be viewed on the official SSC website. Candidates who have qualified in the computer-based examination will now appear for skill-test. The examination was conducted from February 5 to February 8, 2019. A total of 4,36,910 candidates registered for the exam out of which only 1,85,356 candidates appeared. 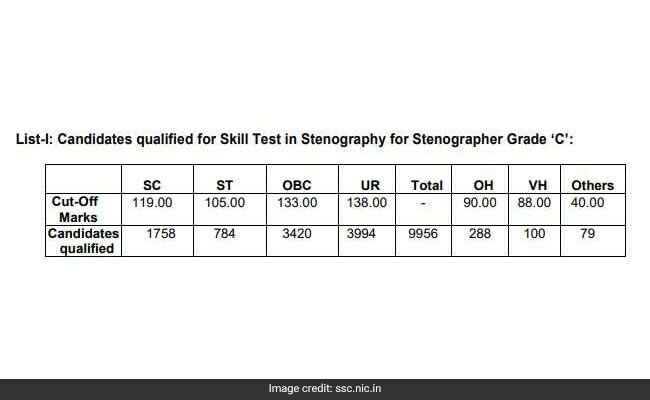 Based on the marks obtained in the computer-based exam, 11211 candidates have provisionally qualified for appearing in the Skill Test for the post of Stenographer Grade 'C' and 15953 candidates have provisionally qualified for appearing in the Skill Test for the post of Stenographer Grade 'D'. SSC Stenographer Result 2018: How to check? Step one: Go to official SSC website: ssc.nic.in. Step two: Click on the Result tab. Step three: Click on the tab for Steno 'C' & 'D'. Step five: A pdf will open, Download the result pdf and check for your name and roll number. The individual marks for each candidate will be released on April 19, 2019. Candidates will be able to check their marks for a period of one month after release of marks on the website. Candidates have been selected for Skill Test on the basis of the normalized scores and not raw scores. The scores were normalized to account for the different difficulty levels of the examination which was conducted in multiple shifts over multiple days.